Virginia Voice believes losing one’s eyesight should not be a barrier to accessing the performing arts or other cultural opportunities in the Richmond Region. 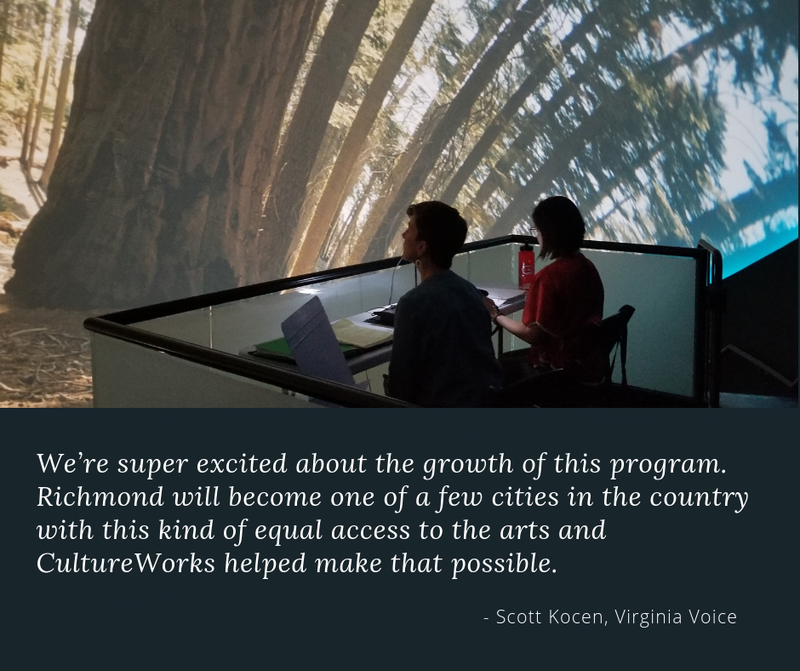 This belief aligns perfectly with CultureWorks’ Cultural Equity focus area, and their Live Audio Description Program was awarded a $10,000 grant in 2017 to pilot the Program, and a $5,000 grant to fully launch the program in 2018. The Live Audio Description Program, launched following a highly successful pilot program in 2017, serves individuals in Central Virginia who are blind or have significant vision impairment. The Program provides audio description to the visual elements of a live theater production and other community cultural experiences that have visual components. During the Fall 2018 season, the Program described 7 performances for 42 patrons who are blind or vision impaired and needed audio description to access the visual elements of the performance. Using wireless technology, trained describers use vivid and succinct language to describe, around the dialogue, the visual aspects of the performance: costumes, props, gestures, etc. 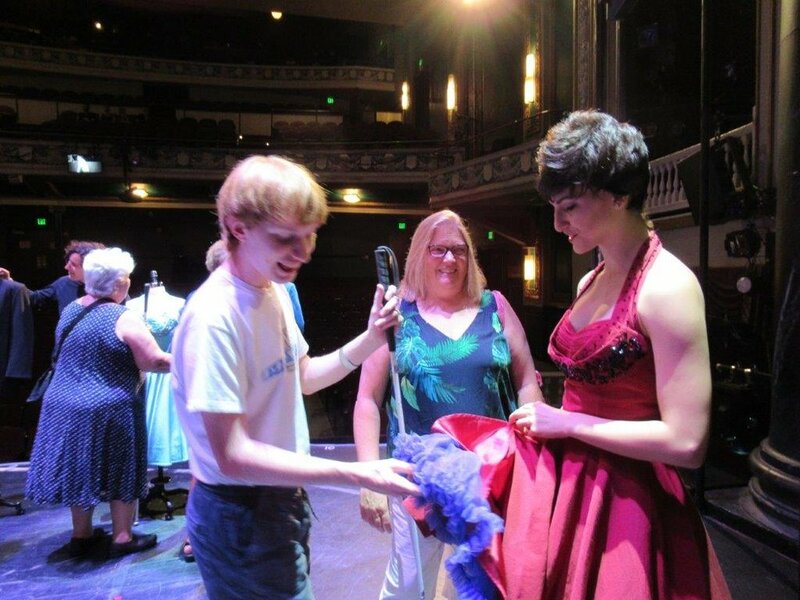 An additional special part of this unique program is a pre-show tactile tour where Program participants have an opportunity to meet the main actors, touch costumes and props, and walk the stage and feel the set. Virginia Voice has established partnerships with Virginia Repertory Theatre (and their Children’s Theatre), SPARC, and the Science Museum of Virginia. Additionally for winter 2018 they worked with the Richmond Ballet to offer Live Audio Description for a Nutcracker performance. Learn more about Virginia Voice and their Live Audio Description Program here.